Sometimes Iceland can be known for some pretty unappetizing foods – fermented shark, sheep head, hot dogs! But it’s not all like that, I promise. 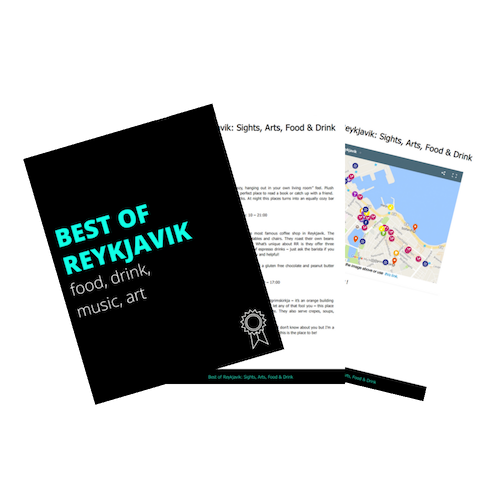 You guys are in luck because for the past two years I’ve been on the hunt to find the best restaurants throughout Iceland! And I’m happy to report that I’ve found some pretty delicious places. Iceland has a cuisine all its own, and that is fresh, local food. You see, this tiny island in the Northern Atlantic either has to use what’s already here, or pay a lot to import foods. Yes the rumors are true, its expensive – but more than worth it to experience the food culture of this amazing country! So if you like the sound of fresh fish soup, grass fed lamb, and geothermal baked breads then you will be eating like a king in Iceland! Friðheimar is a huge greenhouse that grows tomatoes and cucumbers. Their growing methods are completely sustainable and eco-friendly. This is the ultimate farm-to-table experience, I love the concept of this place! *Even though Friðheimar isn’t technically on the Ring Road proper, very few people travel around Iceland and don’t drive the Golden Circle. So I decided it deserved a spot on this list! Do not miss their most popular dish – all you can eat tomato soup served with an assortment of homemade breads. This is not your average tomato soup, this is hands down the most delicious tomato soup I’ve ever tasted! Don’t forget to add fresh basil from the plant on the table. I also like to pair it with their cheese flatbread. They also have a delicious sounding dessert menu, featuring – you guessed it – tomatoes! Reservations: +354 486 8894, essential to book ahead! Pro tip: Try the Healthy Mary – a twist on the bloody mary – made with green tomato and gin. Sooooooo good! Most people who travel in Iceland will be headed towards the black sand beaches, so this restaurant is perfectly placed! On top of the hill in Vík you will find an old aluminum house and the parking lot will likely be packed. That’s because Suður-Vík is an amazing place for a meal after a full day of exploring. They just expanded offering additional seating upstairs and great views towards Reynisfjara beach! Pro tip: I love their Thai dishes and pizzas! The food selection around Kirkjubæjarklaustur is a little slim, but Systrakaffi saves the day. Their menu covers the basics of burgers and pizzas, and stocked with a full bar. Pro tip: You have to try an Icelandic favorite – cheese pizza with jam. It’s delicious, I promise! Humarhöfnin translates to lobster harbour, and is an absolute MUST stop while driving along South-East Iceland. Humarhöfnin is the langoustine captial of the WORLD, and everything is caught by local fisherman. I was so impressed by this place – the decor is adorable, the staff is incredibly helpful, and the food is unbelievably delicious! Pro tip: Go all out and get the Grande mix – it’s a lot of food but since the langoustine is so light it”s not too much! If I can do it, you can too 😉 Also the langoustine bisque off the starter menu is out of this world! Café Nielsen is the oldest house in town in the heart of Egilsstaðir, East Iceland. This is probably one of the cutest places I’ve ever been to! And I can’t even THINK about the reindeer platter without salivating. Bonus! There’s a nice terrace to enjoy a meal outside in the summer. Pro tip: Without a doubt, you have to try the Reindeer! East Iceland is the only place that reindeer can be found, so it’s best to try it locally. They cover it in wild blueberry sauce and it is TO DIE FOR! Vogafjós is my definition of a perfect restaurant – farm to table in North Iceland. Everything they serve is either directly from their farm or locally sourced around Myvatn area. Bonus! Need accommodation? They also a guesthouse! If you are looking for a casual meal in a charming location, Bryggjan is your place. Located right on the harbor in a historic building, the atmosphere is very cozy and relaxed. The service was fantastic. Americans will feel right at home – with ribs, burgers, and pizza on the menu and 50’s rock playing! Coming through at lunch? There is a daily pizza buffet for a very reasonable price! Pro tip: Their fish dishes are delicious, I had the trout served on a bed of potatoes and fresh salad. The drive from Akureyri to West Iceland (or Westfjords) can get a little slow, and it’s nice to have a place to get out to stretch your legs. Hlaðan kaffihús in Hvammstangi is a cute little cafe near the harbor. Inside is so cozy and full of vintage decor. You will find the usual coffee and cakes, and a few food items on the menu. Bonus! Hvammstangi is a very common area to see seals! Pro tip: Their soups are homemade and fresh every day – delicious with bread and Icelandic butter! If you plan ahead, there are plenty of great options for eating in Iceland. I always feel good about the quality of food offering, and without competition from big chains, the cozy atmosphere is always a memorable experience to add to the trip. To use this map interactively, click the bracket in the top right corner of the map. Question: Are any of these places making you hungry?! Some meals were complimentary in exchange for being part of this guide. No other compensation was received. As always, all opinions are my own! Love this list! We had difficulties with food in the smaller places but this is a great list! Definitely bookmarking this for another return trip. One of my favorite parts about traveling is definitely eating all the fresh, local food. That lamb shank looks so delicious! Thanks for the recommendations! I don’t know if I could ever eat Reindeer but it sure looked tasty! I love how this post was laid out though with all the details and the contact information for the restaurants. 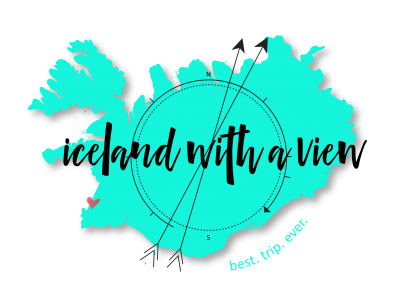 It makes it really easy for someone like me who plans to go to Iceland make a reservation beforehand! These look amazing – although I keep hearing about the sky-high pricing in Iceland (like even hot dog is expensive). Will definitely need to save up a bit before heading there to try these dishes! Yeah Iceland is very expensive, especially for food. But more than worth it for the nature and scenery! Ummm this post is amazing! I never know where to eat when traveling around Iceland, now I want to do the ring road just to visit all of these stops! Thanks for sharing friend. Woo hoo, eating is one of the best things about road trips 🙂 Ok, now I’m hungry! I’m getting hungry looking at this list again – LOVE lamb! I like the hot dogs goo Danielle! I think they’re better quality here. I have also enjoyed Halldórskaffi, but never eaten at Fosshotel – I’ll have to check that one out! Thanks Emily – I hope you need it someday too 😉 Now I’m hungry!